Last week I sang the praises of Cornell chicken, but Ithaca isn't the only central New York town that lays claim to its own homegrown grilling tradition—Binghamton is in it to win it with spiedies. So what the hell are these things? 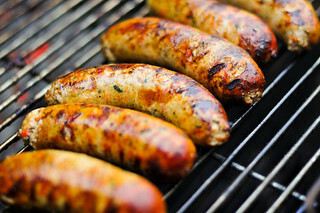 Traced back to traditions of Italian immigrants, spiedies are kind of like those skewers of grilled meat you pick up at street fairs and festivals, if they were actually good. The secret? It's all in the marinade. 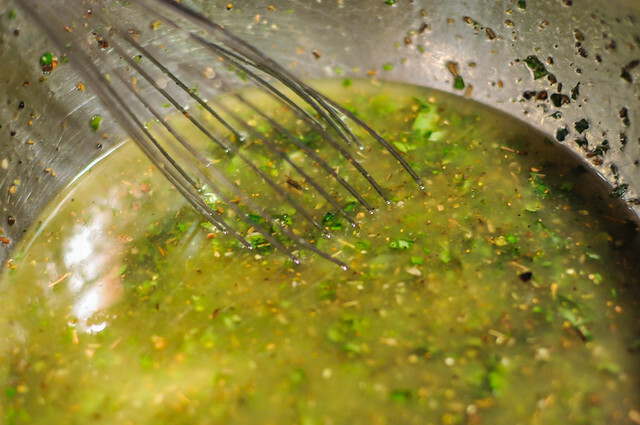 The marinade is a tangy mixture of oil, vinegar, and lemon that is peppered heavily with various herbs. It was originally intended to enhance and improve the appeal of gamier items—like venison or lamb—but it's now usual to see them made with the most common of meats like chicken, lamb, or beef. The tradition is to marinate spiedies for a good long time—a minimum of a day, but some spiedies experts out there will push it to a week or more in a well controlled environment. Reason tells us that an acidic marinate like this will start to "cook" the meat over that amount of time, and while that is true, it also embeds those cubes with immense flavor, as well as tenderizes it. I let my chicken marinate for a full three days before threading the cubes onto skewers. As with any skewered meat, you don't want to push the cubes tightly together, but instead either leave some room between each cube or only have them lightly touching. This helps ensure more even and quicker cooking. I grilled these over high direct high heat. The throughly soaked cubes browned nicely in about 2-3 minutes per side, so when the final side was done around the 10 minute mark, the chicken was fully cooked without being overdone. 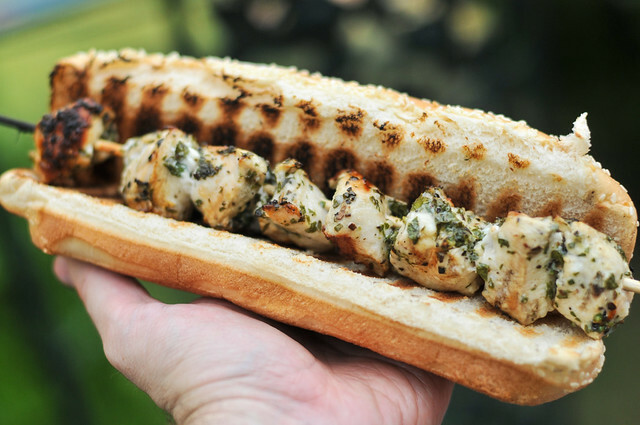 Convention has spiedies being sandwiched in a piece of white Italian bread nestled in your palm and then pulled from the skewer, but I took a heartier approach using a soft hoagie roll. 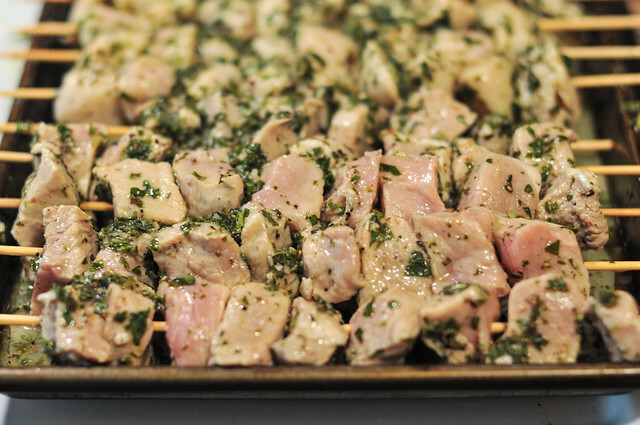 What's normally a dry meat skewer became little cubes of chicken that were moist, tender, and flavorful with bits of herbs on the outside and a nice tang inside. 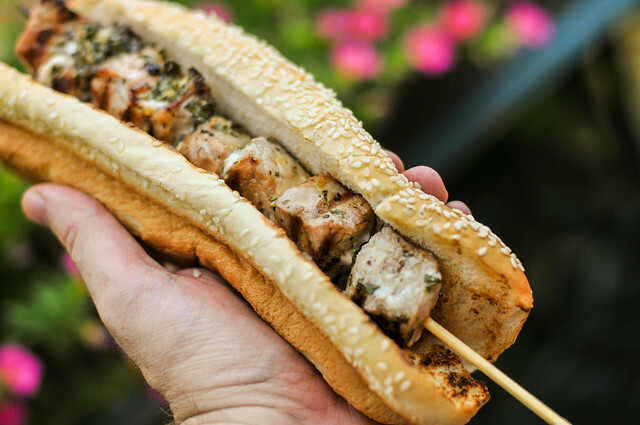 I seriously have yet to have skewered chicken as rich and delicious as these spiedies, which only goes to show that New York knows a thing or two about churning out great grilled meats. A staple of Binghamton, the spiedie marinates meat for a long time in a tangy mixture of oil, vinegar, and lemon that is peppered heavily with various herbs, leaving it juicy, tender, and full of flavor. Light one chimney full of charcoal. When all the charcoal is lit and covered with gray ash, pour out and spread the coals evenly over coal grate. Set cooking grate in place, cover grill and allow to preheat for 5 minutes. Clean and oil the grilling grate. 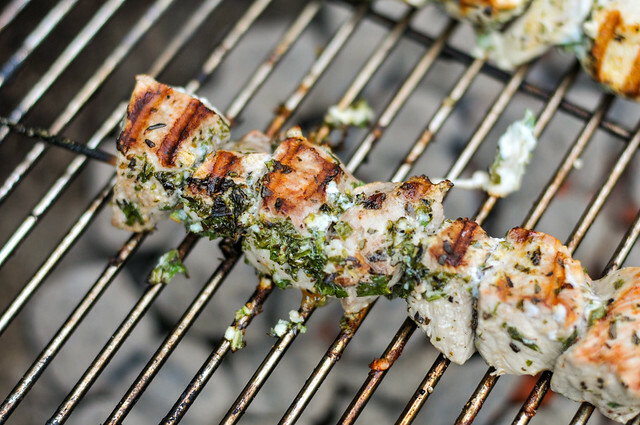 Grill skewers until chicken is browned on all sides and cooked through, 2 to 3 minutes per side. Now here's something I don't understand. You stated that tradition holds that the longer you can marinate the chicken before grilling, the better. Yet, on the other hand, Kenji Lopez-Alt, over on Serious Eats, says that marinades (at best) only penetrate a millimeter or so into the meat. How do I reconcile the two positions? @Max Wainer I'm not a food scientist, so I don't have the level of detail Kenji has to back me up, but this recipe uses a lot of acid, which is one ingredient that can penetrate further into the meat. Since acid also "cooks" the meat in way, changing the appearance of the chicken from pink to pale gray, I can tell that the marinade is working deeper than a few millimeters because some pieces of chicken had turned gray pretty throughly after 3 days. 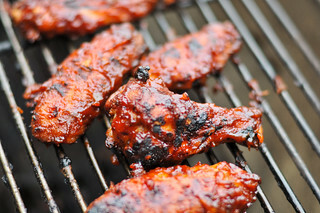 I tried these once but only did a few hours on the marinade, I need to try your version for the full time. For a simpler and easier marinate (though not as good) I use Wishbone Robusto Italian dressing. 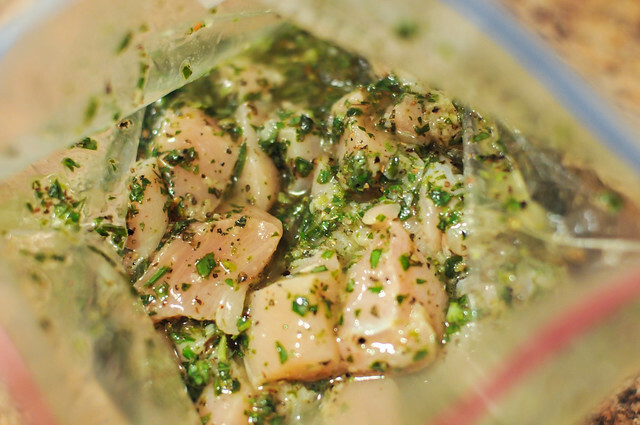 You are right about the marinating time. I found this out by accident with good results. 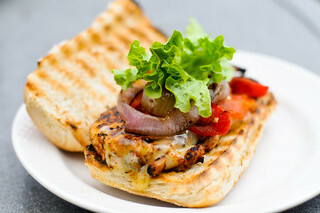 I like to serve my chicken with pita bread and topped with ranch or blue cheese dressing. I had the opportunity to live in Binghamton from 2003-2006 and discovered Speidies! Man WHAT A TREAT! After moving back to SC I was craving it. Well, my prayers were answered! Ingles Supermarket sell the Speidie marinade. I was IN SHOCK & thought to myself I must be dreaming so I read the label on the back of the bottle to see where it was made. It was in Endicott which is a very small town about 15 minutes drive from Binghamton! SCORE!!!! Thanks for the post Josh!